Railz snow scooter is an awesome snow toy for kids, and adults ! 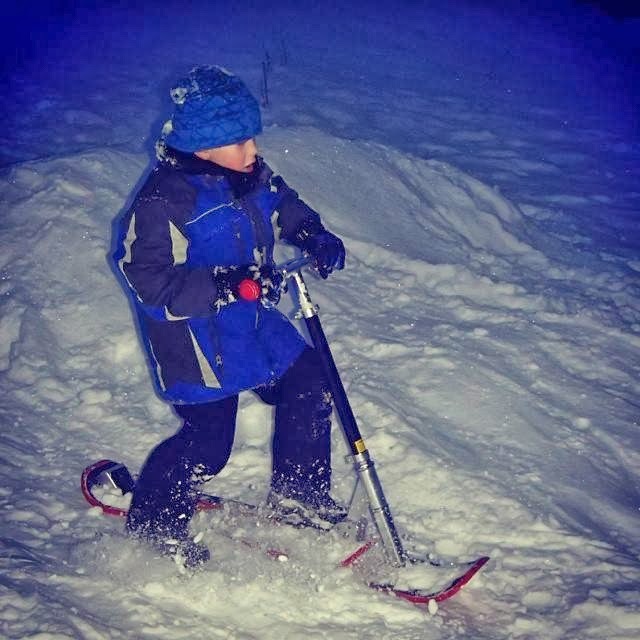 Great snow fun for the entire family to have fun, exercise and enjoy the winter, outdoors ! 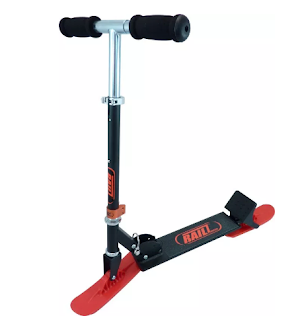 A RAILZ Snow scooter is a traditional aluminum scooter but with the revolutionary patented skis instead of wheels. There are many scooter type snow products, but none that carve and track like you are riding on pavement, RAILZ snowscooters do ! 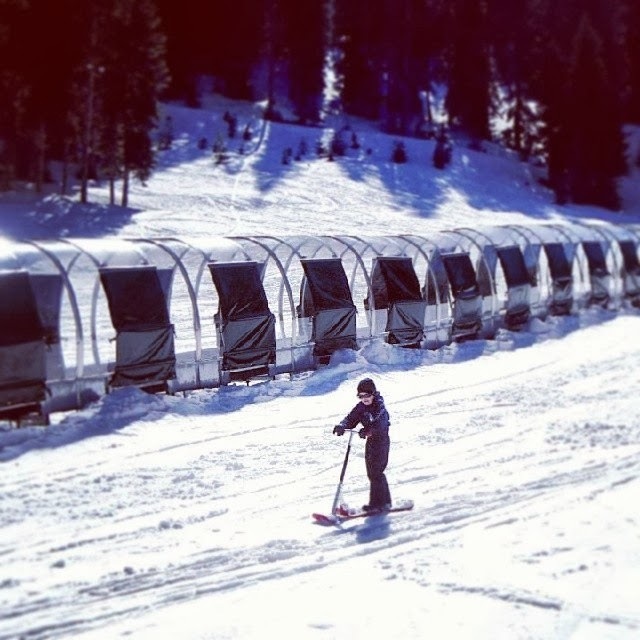 Snowscooting - Winter Fun For Kids And Adults ! Being a (extra) hyperactive father to an even more hyperactive son means coming up with more fun as much as possible as often as possible. 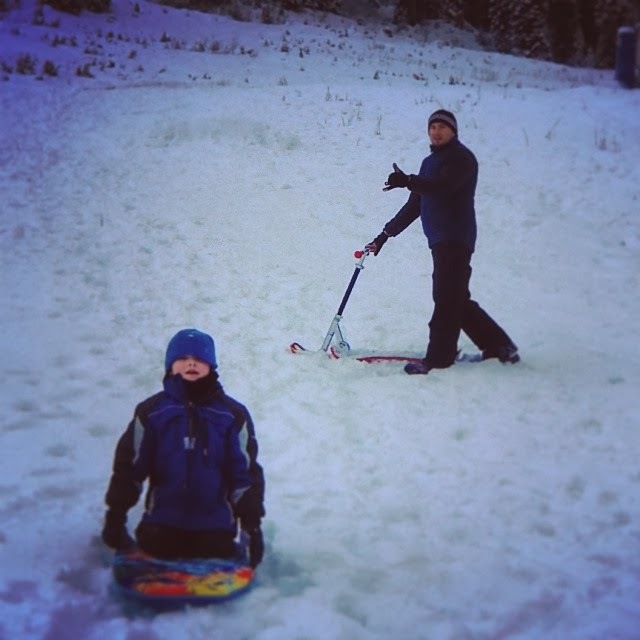 Skiing, snowboarding, snowskating, snowshoeing, sledding, tubing... are not enough for my kid. We are always on a lookout for more thrills, fun and adventures ! Browsing Craigslist for more gear, I came across a pretty interesting find - a snowscooter ! My son has already been having fun riding his push and electric scooters, and I thought the snowscooter would be a great addition to his own outdoor gear collection. We took the snow scooter to our favorite ski area in Washington - Alpental. 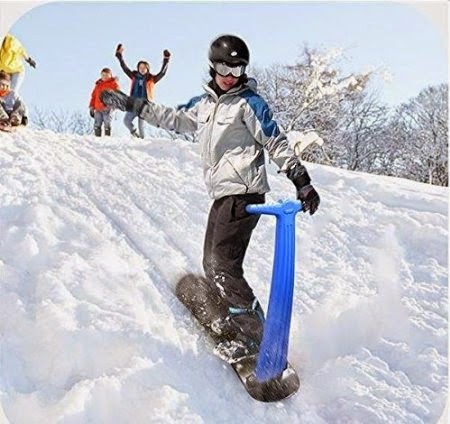 Its steep slopes were ideal for this fun little snow toy. Light, maneuverable, and durable the scooter worked great for both of us ! NOTE: During ski season sledding of any type is not allowed around the area. 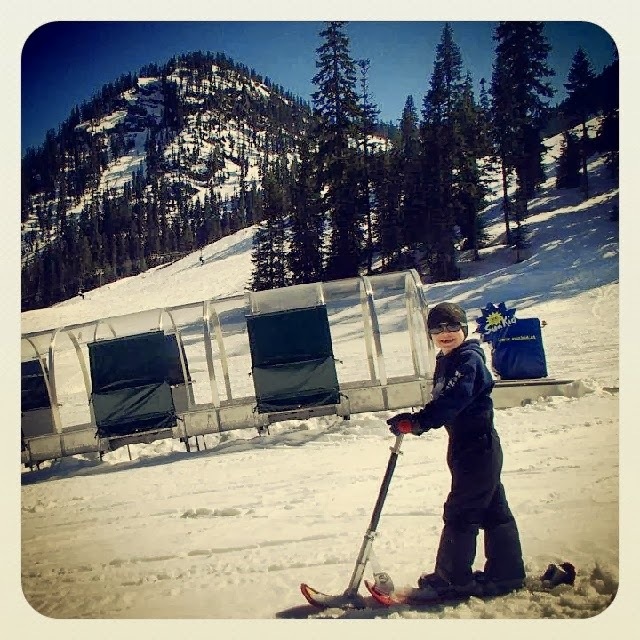 Just like our training snowboard, the snowscooter doesn't have metal edges and a leash, the safety feature required for (any) snow gear to be used on the slopes. That's why, you can only use it during off hours/season or away from crowds in specifically designated areas ( like sledding slopes ).